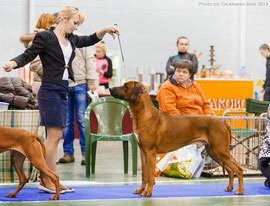 I liked Garet’s father Makao Line Atuin Art since I saw him first time - Atuin is not only a champion of many countries (Russia, Russian Cynological federation, Sweden, Luxembourg, Lithuania, Slovenia, Romania and Ukraine) but also Best of Breed in World Dog Show 2012, European Dog Show 2015 and again in World Dog Show 2016, becoming even Best in Show - IV, in a huge competition with beautiful dogs from all over the world. 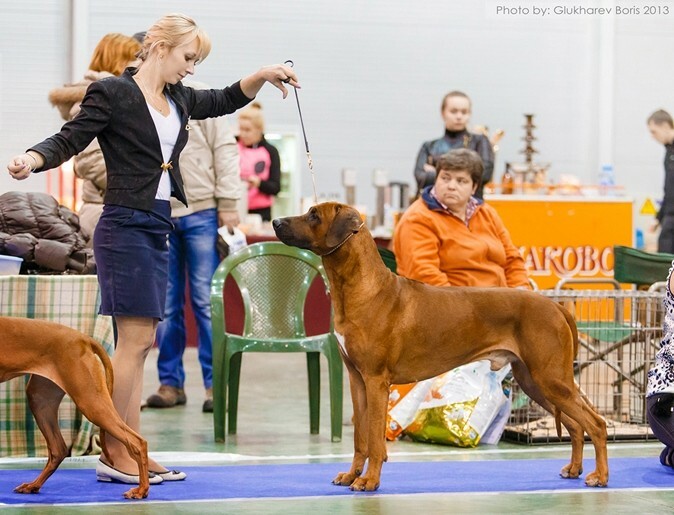 Garet’s mother Red Prayd Rashel Bona Mia with limited participation in dog shows has become Russian, Russian Cynological Federation, Macedonian, and Moldavian champion. 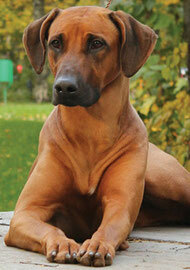 Both parents are great family dogs with balanced temperament. 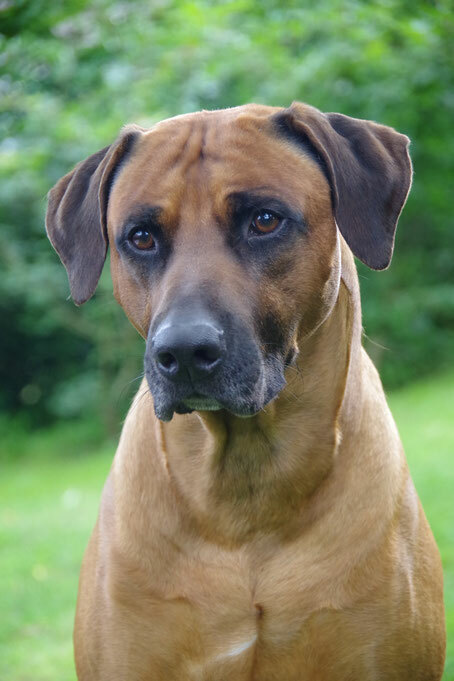 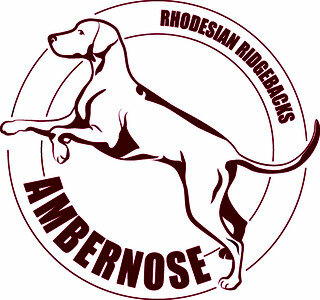 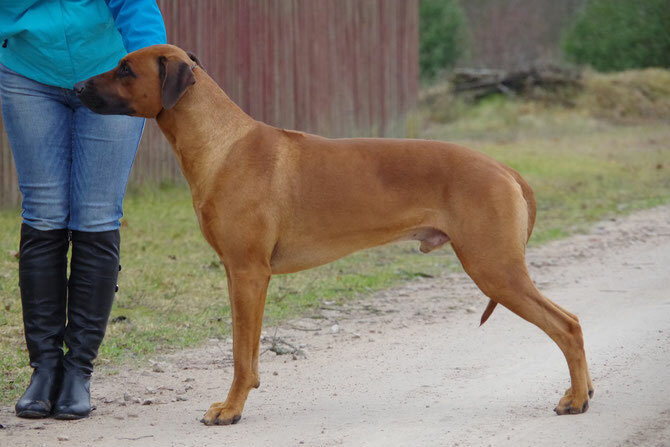 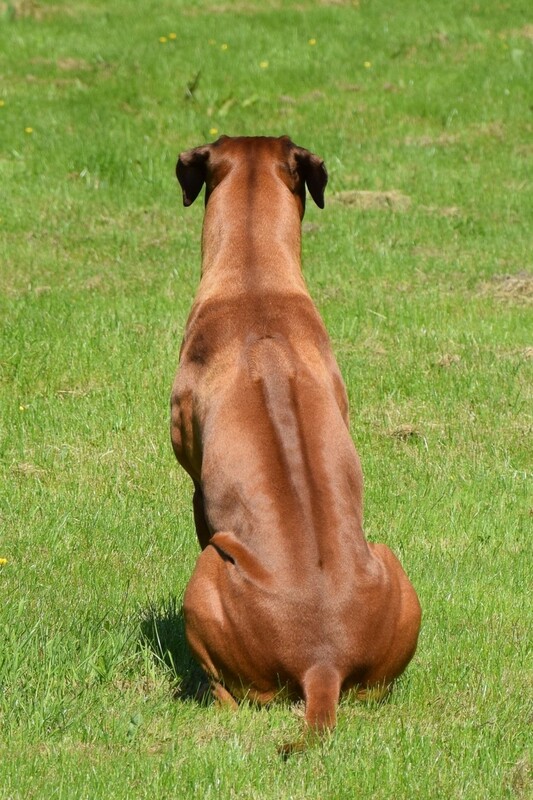 The combination of Atuin and Rashel in the pedigree brings together some of the strongest Russian and African Rhodesian ridgeback bloodlines. 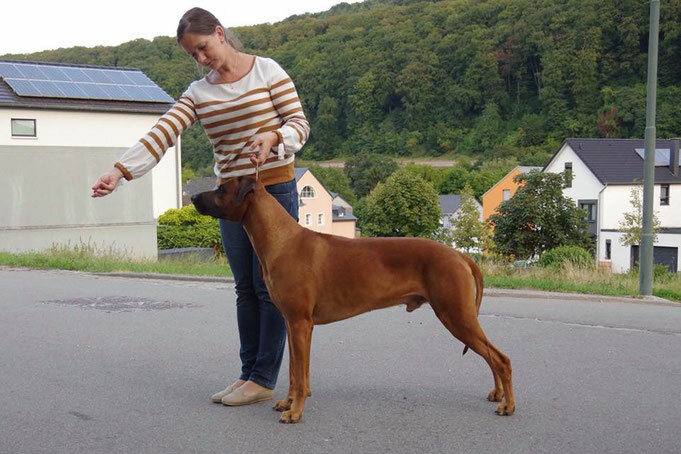 When I saw these lovely litter plans and very charming and promising Garet at the puppy age, it was not difficult to take a decision that he will join our family. 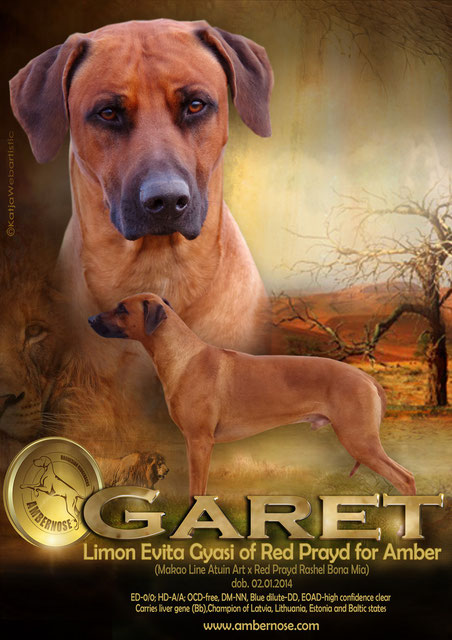 Garet was born in a healthy and very even litter of 11 puppies (9 males, 2 females). 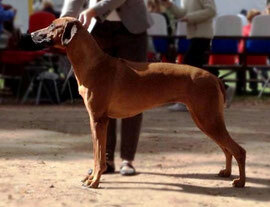 All puppies had correct ridges, minimum white. 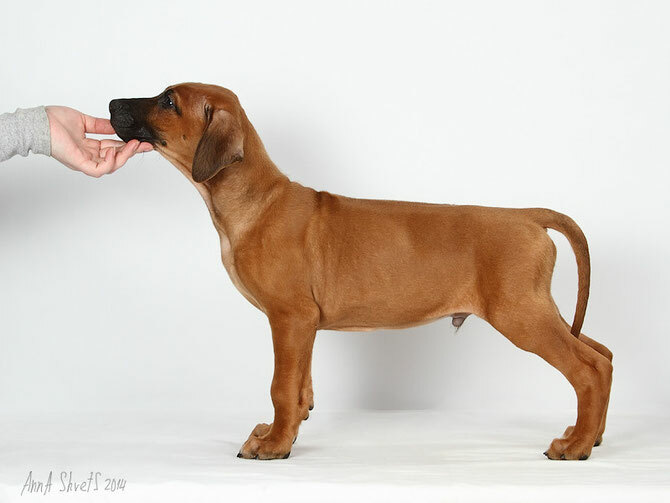 There was no DS in the litter, 2 kinked tails (one very slightly, almost unnoticeable). 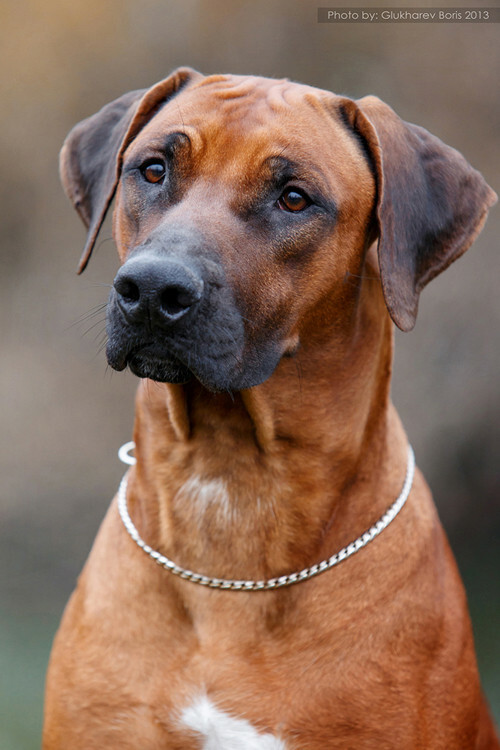 All male puppies had both testicles down and all puppies had correct scissor bites. 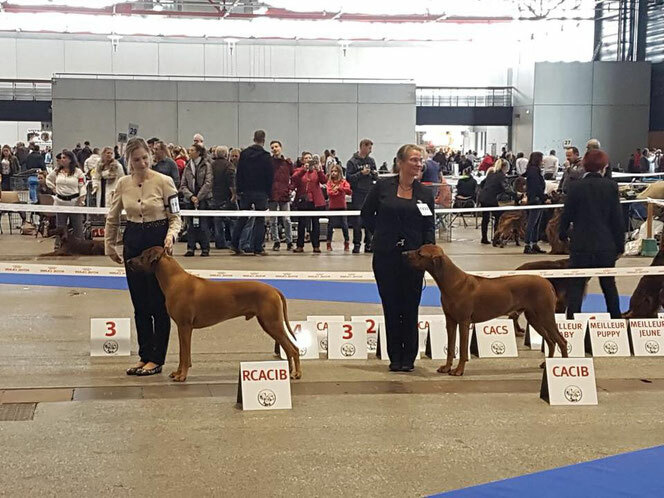 With very limited number of dog shows Garet has become Baltic junior champion as well as Baltic champion (adult) and from experts has received very pleasing descriptions. 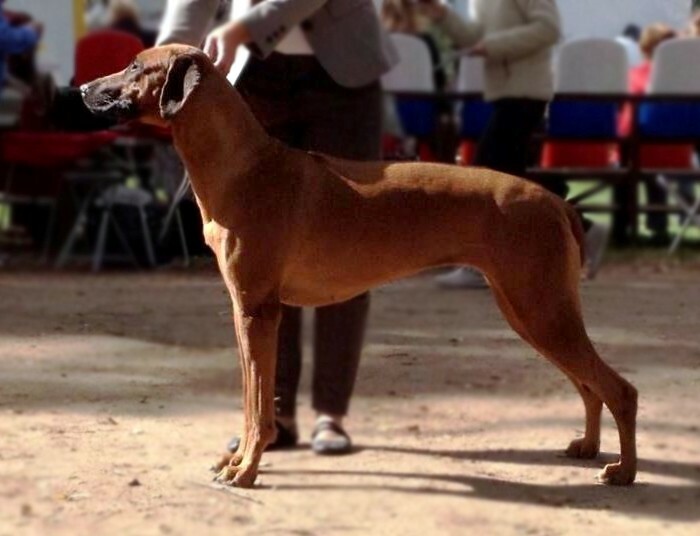 Garet is very sociable, perfect family dog and companion – it is very easy to be together with Garet, be it at home, at a dog show, in the old town or in woods. 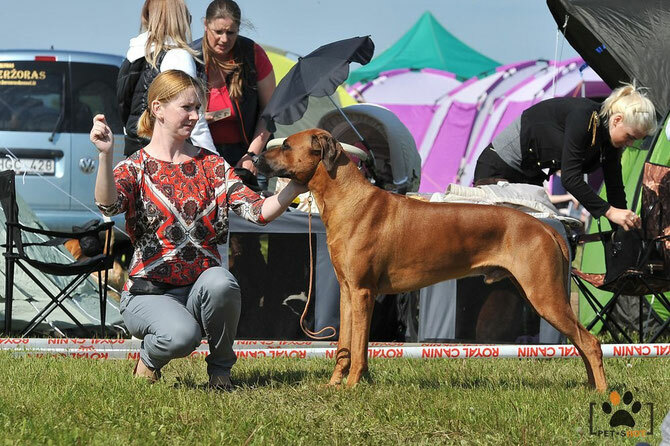 At the dog shows often I have been asked from visitors – can I pet him?– but of course! Only if you don’t mind to get kisses in return. 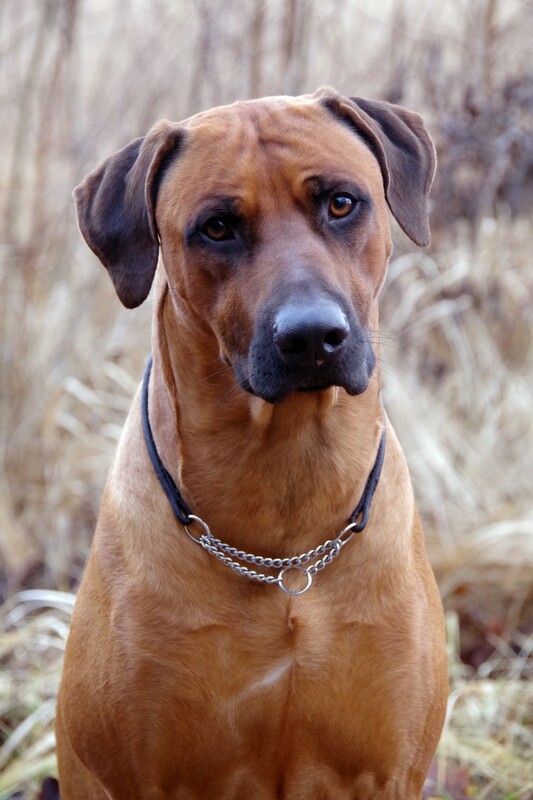 :) Garet is friendly and playful, yet, if the situation requires, he is also protective of his family and property.